It’s time for another Whisky Story, this time from Matt, who had a great time in the north of Scotland visiting Old Pulteney. 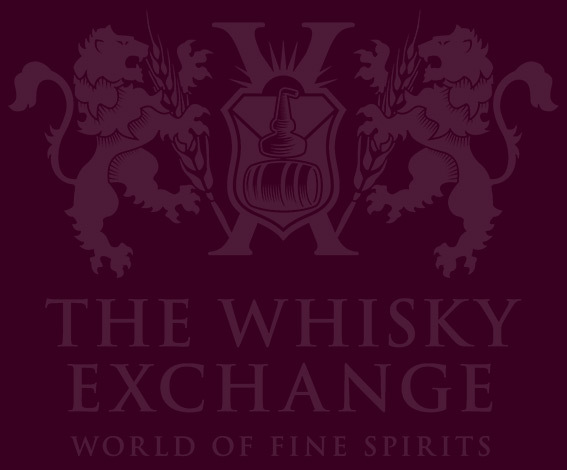 Please keep sending us your own Whisky Stories – we’ll be publishing more of our favourites over the coming months. 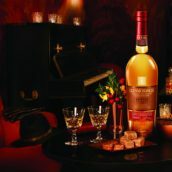 My first experience of whisky was similar to many people’s – nabbing a wee dram from my father’s open bottle when my palate was far too young and inexperienced to appreciate it. 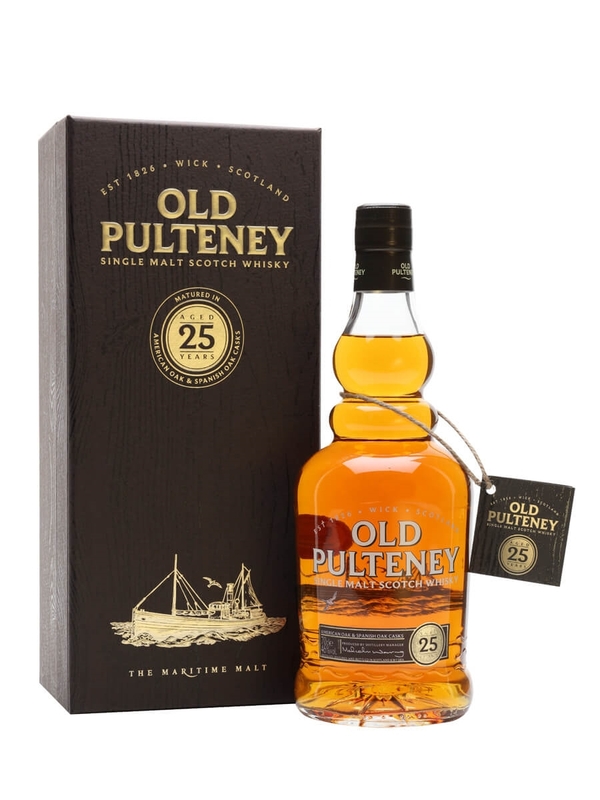 But fast forward a few years, and Old Pulteney had firmly established itself as my gateway whisky into the wonderfully diverse world of single malts. 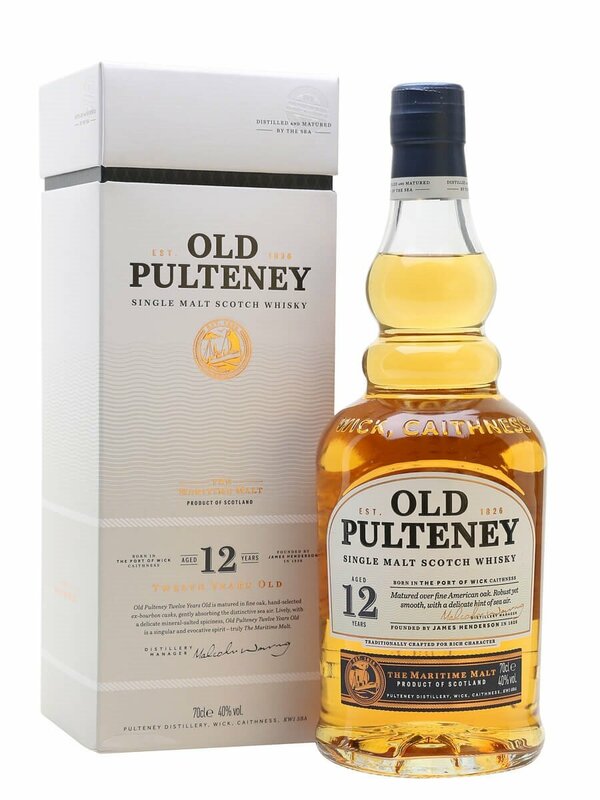 Initially, I didn’t actually like Old Pulteney; I found the salinity and brine challenging compared to other entry-level whiskies. 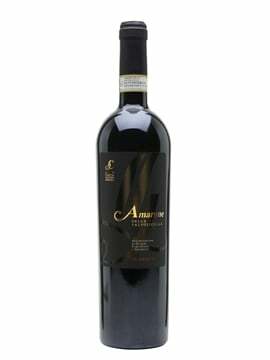 But it didn’t take too long for my palate to learn to appreciate, then love, those coastal-tinged flavours. Our journey to Old Pulteney started at Inverness Airport, taking the A9 northbound. 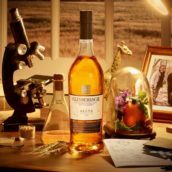 The A9 is not just a picturesque and sometimes rugged route through Sutherland and Caithness, it’s also an ideal one for a whisky enthusiast. 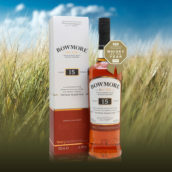 Stopping off at Dornoch Castle (with its superb whisky bar), Glenmorangie, Balblair and Dalmore distilleries not only broke up our journey northwards, but also provided ample whistle wetting in advance of our final destination of Wick. For our lodgings, there was only ever one choice – MacKay’s Hotel (seeing as it shares my surname) run by Murray Lamont. 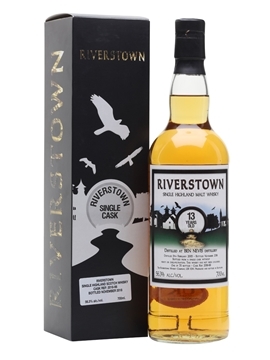 As a Wick resident, Murray and his family have long held ties with Old Pulteney, which was built in 1826 by Sir William Pulteney (the town originally being named Pulteneytown). Murray’s hotel whisky bar is a treasure trove of bottlings – he’s quite the collector. 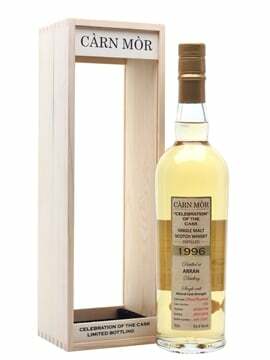 During our time there, we helped him locate and order numerous bottles stored in the hotel cellar, and as a reward, a dram of one of the oldest Pulteneys I’ve seen, from a 37-year-old sherry cask Murray’s father had purchased in 1972. Despite visiting many distilleries, the Pulteney tour is still the best I have experienced. On the day of our visit, not only did we have the entire site to ourselves, but we were guided by the passionate and highly knowledgable Kathy Csorogi. 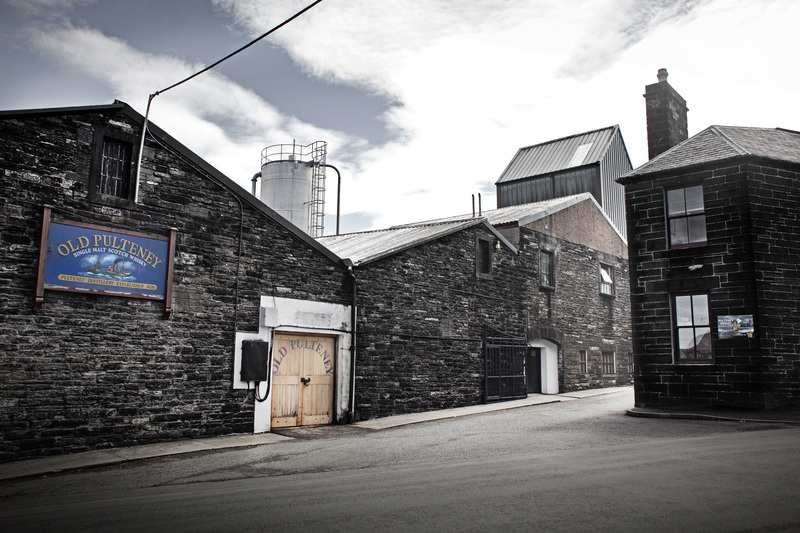 Pulteney is a compact site, with all elements of production located a stone’s throw from one another. Our unexpected private tour allowed us plenty of time not just to learn about the distillery and its processes, but also to talk to the mashmen and stillmen while they worked. As with many things, tell me and I’ll forget; show me and I’ll remember. During our visit we learned that the refined salinity that can often be tasted in Old Pulteney is actually present in its new-make spirit, although whether this comes from the naturally salty seawater and coastal location or simply though the distillation process is hard to say. 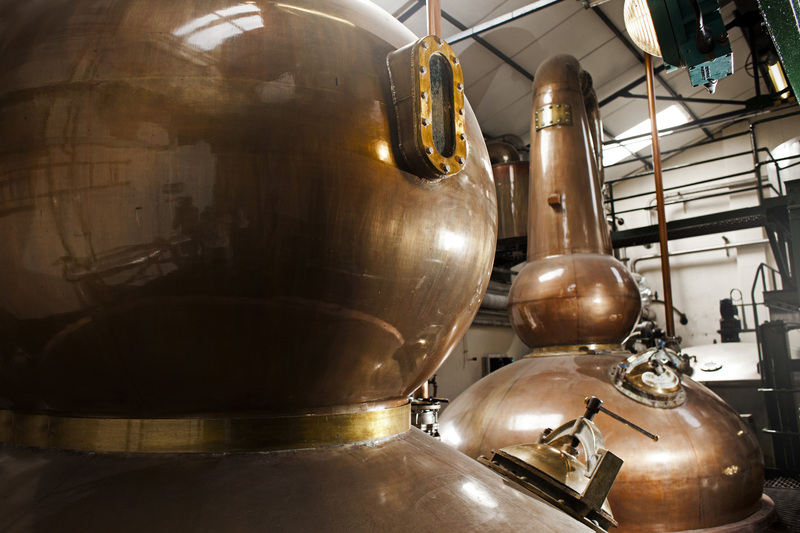 The still room is a highlight of any distillery tour and Pulteney’s unique stills make this even more so. 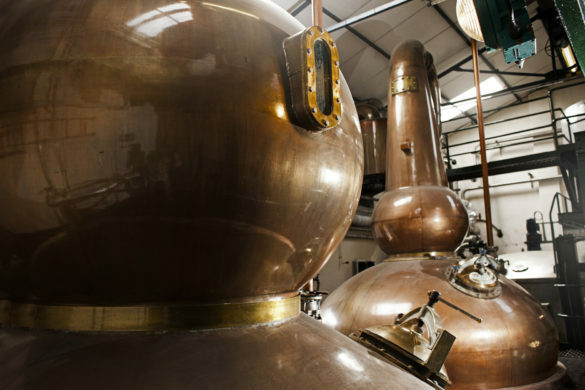 The wash still doesn’t feature a typical swan neck and lyne arm – the story being that when the still arrived at the distillery, it was too tall for the stillhouse and had to be cut down in size to fit. 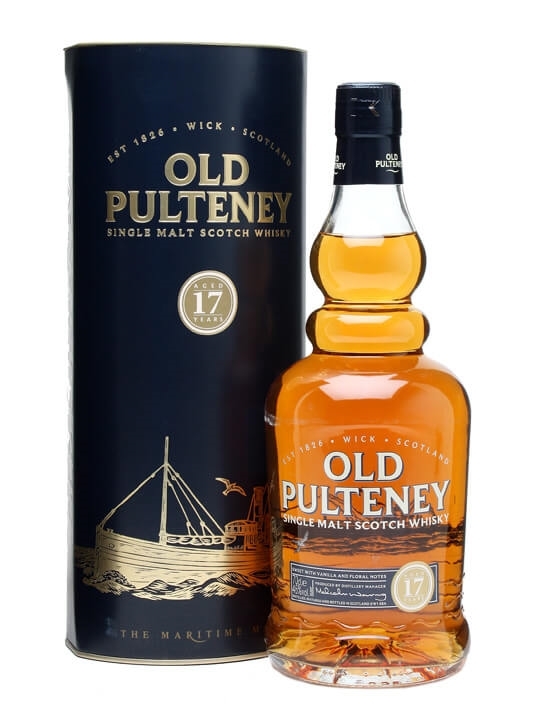 Official bottlings of Old Pulteney reference the bulbous pot stills in their design. Tastings at Old Pulteney take place in two locations – first we sampled some cask-strength expressions in the dunnage warehouse over the road from the distillery. Then we moved to the tasting room in the visitor centre to explore the distillery’s core range and some older expressions, including the rather lovely 35 Year Old. No trip to a distillery is complete without taking the opportunity to hand-bottle your own whisky directly from cask, and Pulteney usually has two casks available. Kathy told us about some visitors who had got rather confused and placed their bottles straight down into the wax, bottom first – resulting in some rather odd-looking but certainly unique Old Pulteney bottles! The experiences, sights and stories of my visit to Wick and Old Pulteney have stuck in my memory, and it won’t be long until I’m venturing up the A9 again. On my next visit there’s even more whisky goodness to explore, in the form of Wolfburn distillery. 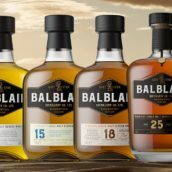 With Pulteney and Wolfburn on the mainland and Highland Park and Scapa just a ferry ride away on Orkney, north-east Scotland is a pilgrimage every whisky enthusiast should make at least once. Thanks very much to Matt for sending his Whisky Story to us. If you have one, we’d love to hear from you. Old Pulteney is definitely a favorite and the tour was very enlightening and entertaining. We stayed at MacKay’s and took the opportunity to sample of the 1972 cask. It was the highlight of our trip. Murray was an excellent host.